Both Shastri’s doctor and personal assistant were hit by moving vehicles as they were proceeding to inquiry committee hearings in 1977. R.N. Chugh dies, Ram Nath loses memory. All records of the post-emergency Raj Narain inquiry committee report have vanished; there is not a trace even in Parliament’s exalted library. The fatal poisoning of a prime minister, a cover-up at the highest levels, stoic silence when questions were asked, conspiracy theories involving international players and national figures, mysterious accidents that claimed the lives of witnesses who could have shed more light on the matter, parliamentary inquiries that have vanished from the library. 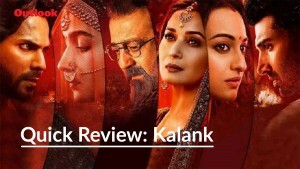 This is not a plot from a Robert Ludlum thriller or a film sequel to Bourne Identity, but a real chapter from Indian history that has been buried and forgotten. 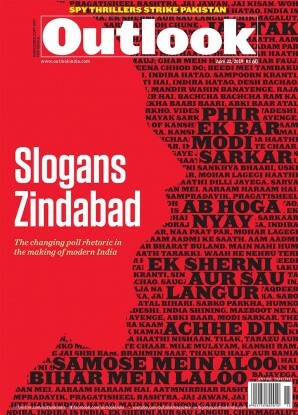 Last week, Outlook carried extracts from Kuldip Nayar’s book Beyond the Lines in which the veteran journalist reminisces about many figures from the past. 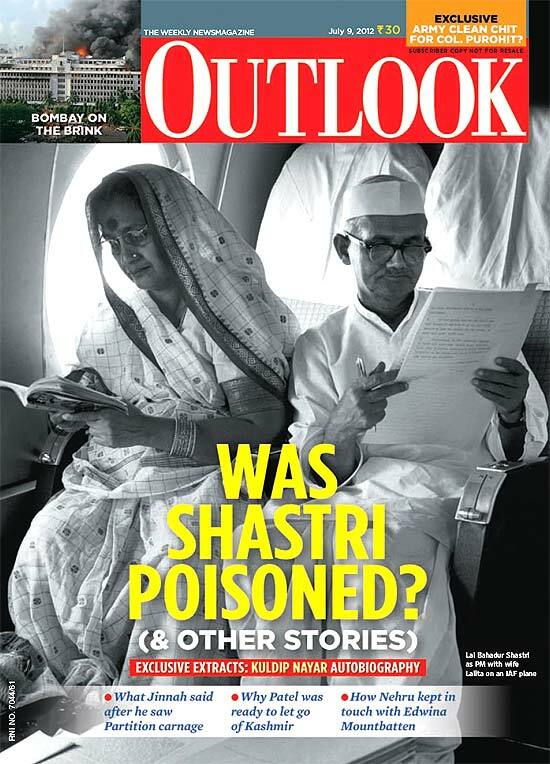 When he comes to Lal Bahadur Shastri, he has posed the question—was Shastri poisoned? As his media advisor, Nayar was with Shastri in Tashkent when the country’s second premier died suddenly in a Russian dacha on January 11, 1966. On his return to India, Nayar recalls, he was confronted by Shastri’s wife Lalitha who was troubled by the fact that the body was blue and inquired about “certain cuts” on his body. She also pointed out that no post-mortem had been done either in Russia or in India. After the book extract was published, Outlook was contacted by members of the family. As we pieced together the strange circumstances of Shastri’s death through family accounts and on the basis of RTI applications, we can only conclude that the mystery deepens and some answers must be found. What is also significant is that in spite of RTI applications, the PMO has refused to declassify information about the former PM’s death in Tashkent 46 years ago. Anuj Dhar, moderator of a transparency website, had filed an RTI application in 2009 seeking the correspondence between the Indian embassy in Moscow and the external affairs ministry and between the two countries after the premier’s death. 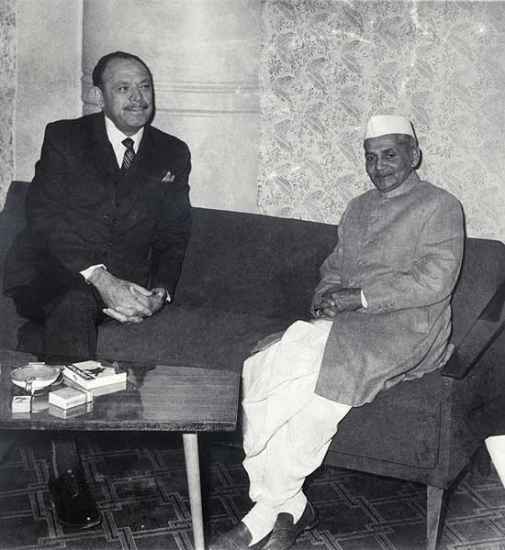 Shastri had gone to Tashkent for a summit with then Pakistan president Ayub Khan after the 1965 Indo-Pakistan war. He died hours after signing the joint declaration. His family has always maintained that he was poisoned and his death hushed up. There are certainly unanswered questions. For instance, press reports of the incident show that the authorities in Tashkent immediately arrested a Russian cook. He was released after five hours of questioning. However, in spite of the initial suspicion of poisoning, no post-mortem was done, either in Russia or in India. His late wife kept trying to raise questions about his death, but nothing was ever investigated. The couple had six children, of whom only two, Anil and Sunil Shastri, survive. Both are members of the Congress, although the latter had joined the BJP briefly. Grandson Siddhartha Nath Singh (son of Shastri’s late daughter Suman) is in the BJP. But regardless of political affiliations, there is a unanimity within the family that Shastri was poisoned and the case was never investigated. Adding grist to the rumour mill is the extraordinary secrecy over the case. For instance, various RTI applications over the years have sought information both on what documentation is available on the matter and if the government could kindly declassify it. In 2009, the PMO had replied that it had only one document relating to Shastri’s death but refused to declassify it under a clause that would “prejudicially affect the sovereignty and integrity of the country, the security, strategic, scientific or economic interests of the state, relation with foreign state or lead to incitement of an offence”. There is a fascinating story he recounts, something that was an obsession with his late mother who was the last family member to speak to Shastri. She was on the phone with her father, as her husband, V.N. Singh, an employee of the State Trading Corporation, was travelling to Cairo on work where Shastri too was headed. Shastri therefore told his daughter to ensure that her husband carried Indian newspapers to Cairo. His last words to her were—“I’m going to have a glass of milk and sleep.” The line got disconnected and Suman tried again. However, when she got through 15 minutes later, she was told her father was dead. One can imagine the questions that have remained with the family since. Particularly as the first inquiry was conducted only after the Emergency when the Janata government was in power. Called the Raj Narain Inquiry, it never came up with any conclusions but began the process. However, no record of this can be found in the Parliament library—by itself not a sinister event as lots of vital documents have disappeared often due to carelessness. But there is an even more curious series of events linked to the inquiry. Two witnesses were scheduled to depose before this parliamentary body in 1977. One was R.N. Chugh, Shastri’s doctor who accompanied him to Tashkent. The second was Ram Nath, his personal servant, who was also present on the day of his death. Chugh was travelling to Delhi by road to testify before the committee and was hit by a truck and died. Ram Nath came to Delhi and visited Shastri’s widow before the deposition. According to family members, he told her, “Bahut din ka bojh tha, amma. Aaj sab bata denge (I have been carrying this burden too long. I will shed it today).” Ram Nath left the 1, Motilal Nehru, residence to make his way to Parliament. He was hit by a moving vehicle, his legs crushed (eventually amputated) and he lost his memory. One can only be left gasping at the strange twists and turns. It suggests a real historical whodunit, the answers to which may turn out to be as unbelievable and bizarre as the death of the prime minister itself.